Use any solution – share any content. Is Your business stuck in the integration nightmare? Release Your content with IcemanMediaHub™ and cut time and efforts when launching new projects. Do you still believe that one vendor can provide all your solutions for Your media production? We don´t! 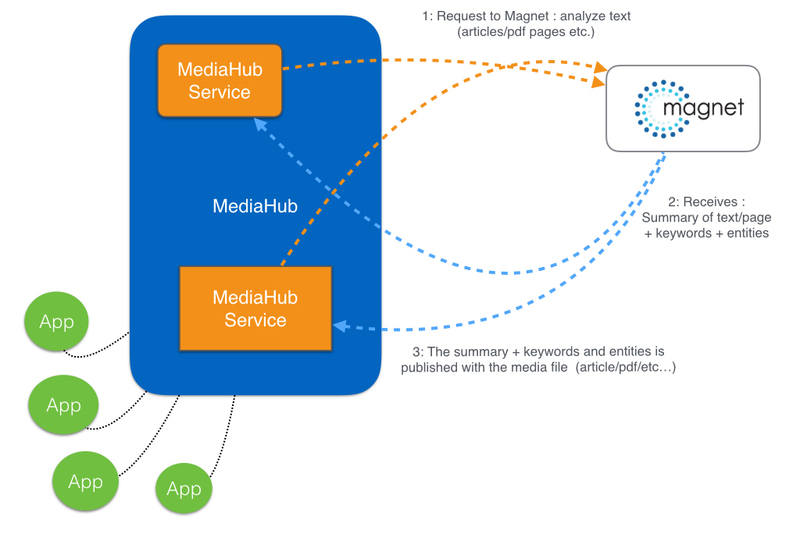 Connect Your legacy solutions for continuous integration, add new ones or build applications and services yourself with tools from the MediaHub library. 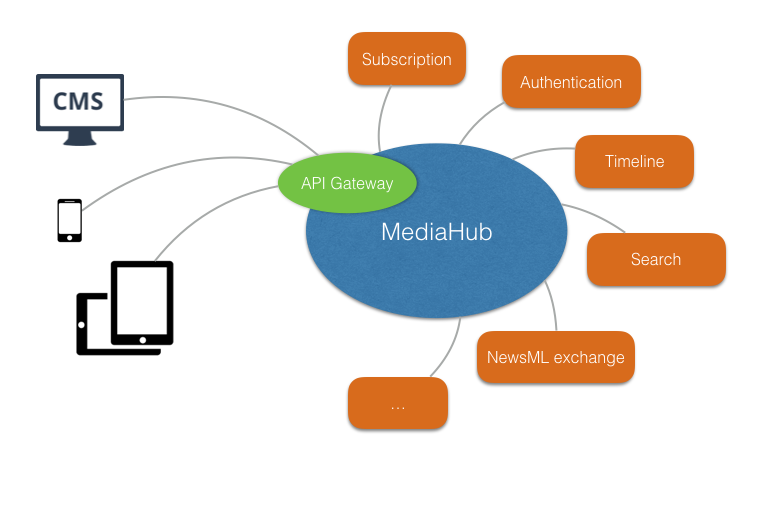 Connect them to the MediaHub and you are up for seamless business, regardless of the type of content. This is what we call integration made easy. Share content independent of systems and applications. Event driven and in real time. Subscribe and search using hashtags. IcemanMediaHub™ is the integration platform for the media industry. IcemanMediaHub™ cover all needs and capabilities of the future media producer: realtime events and content delivery, filter of event timelines via hashtags, push delivery and powerful search capabilities. Benefit from the fast growing library of ready made integrations, services and applications; among others WordPress™, Indesign™, Newspilot™, Fotostation™, Openstore™, Polopoly™, Escenic™, Episerver™, Umbrako™, Twitter™, Instagram™, NewsML™, RSS and many more! Services can be configured to use text analysis for text categorization, text clustering, concept/entity extraction, production of granular taxonomies, sentiment analysis and document summarization. Currently a integration with Magnet from Klangoo is available. A schematic overview over the text analysis process. Due to the fast changing pace in the Media industry, it is essential to be able to change the solutions in use with speed and without cumbersome and expensive projects. IcemanMediaHub™ as your integration platform ,will ensure not only that You are prepared for changes now and in the future but You are also ready to create and launch new projects in utmost speed! IcemanMediaHub™ will improve the ROI of Your existing newsroom by enabling You to use any solution, new or old – and to share any content.